The French president threatened to walk out of the summit in Pittsburgh if leaders don’t take action on global finance, but such grandstanding undermines his cause, says Eric Pape. Once upon a time, French presidents were languid, detached, and rarely ever rushed. President Nicolas Sarkozy, though, is more like an anxious, frenetic New Yorker who never has enough time to get things done. It isn’t just the politics of perpetual campaign; his is a high-speed, BlackBerry presidency, in which time really matters. Sarkozy’s time is so precious, in fact, that he’s not willing to spend it merely networking and negotiating with the leaders of the world’s 19 other richest nations to redefine the world’s regulatory architecture for banking. Sarkozy wants action, and he wants it now. That is why the French president has made clear that at any moment during the Group of 20 talks getting under way Friday in Pittsburgh, he may skip out if he doesn’t see enough initiative. “If there is no concrete decision,” the conservative French daily Le Figaro recently quoted Sarkozy as saying, “I will leave.” Obama, Medvedev, Brown, Merkel, Hu—you have been warned! The problem is that Sarkozy’s threat to bail out gives fodder to those who call him “erratic” and un-presidential. Moreover, it isn’t clear where Sarkozy so desperately needs to go. He and his former supermodel wife Carla Bruni-Sarkozy just dropped in on the U.N.’s high-profile seasonal opening in New York. Carla raised some money for her foundation, and Sarkozy schmoozed the city’s French community. And even though he is on the longest overseas trip of his two-year-old presidency, he’s not likely to be homesick, given the array of challenges waiting for him there. • More Daily Beast G-20 coverageUnemployment numbers in France, which have been better than most other nations during the financial crisis, appear, as of this week, to be up substantially. Portions of Sarkozy’s conservative political movement, which controls parliament and the senate, are upset over the president’s push for an environmentally and lefty-friendly carbon tax, while some anti-immigrant elements are furious that his government nixed plans to verify family reunification applications with DNA tests. (Sarkozy says such DNA analysis is unreliable.) And more broadly, there are growing signs that the French are tiring of their ever busy president: his approval ratings have just dropped six points to 39 percent. But for all of his drama-queen posturing, it is worth noting that Sarkozy is asking the G-20 for some sensible measures. Among other things, he wants an international agreement that would limit banking-world bonuses by linking them to the long-term success of companies, rather than rewarding risky short-term speculative behavior. He has already forced the massive BNP Paribas bank to chop its bonuses to traders, and he has tried to coordinate collective action within the European Union on such issues. And he can be pragmatic. When President Obama made it clear that the idea of an absolute global cap on individual bonuses was a non-starter in U.S. banking culture, Sarkozy reportedly agreed not to bring it up in Pittsburgh. If Sarkozy does walk out of serious negotiations—before the cameras of journalists from all over the world—he probably assumes his home audience will see it as a passionate demand for action. But outside France, such a move is likely to be considered grandstanding by a not-ready-for-prime-time leader. And even in France it could well echo the media-seeking desperation of John McCain’s ultimately empty threat to bail on a presidential debate as the economic crisis broke last fall. Besides, Sarkozy has already cried wolf. Just last March, he threatened to walk out of another G-20 financial summit in the U.K. with almost identical demands. At that time, Sarkozy told a cabinet meeting that “if things don’t advance in London, there will be an empty chair. I’ll get up and leave.” Amid layoffs, factory closures, and protests, he said that he wouldn’t associate himself “with a world summit that decides to decide nothing.” Apparently, his need for action was satisfied by measures to eliminate tax havens, among others; he stayed. Maybe something about these exclusive gatherings of world leaders brings out the strangeness in Sarkozy. After all, soon after France’s teetotaler president was elected in 2007, he attended a G-7 summit where, after meeting with Russian leader Vladimir Putin, he appeared at a press conference looking wobbly and strangely euphoric, spurring broad speculation that he was drunk. While it may not always be clear from afar, Sarkozy can be a strategic genius. He has a remarkable knack for floating a wide array of policy proposals—often cherry-picking ideas and hiring ministers and advisers from across the ideological divide (which has the added benefit of shredding the opposition party). But when it comes to consistently pursuing a well-thought-out policy through to a major achievement, his track record so far is mixed at best. If Sarkozy can persuade the G-20 to adopt a coherent, united position on a global regulatory structure—overcoming the resistance of American and British banking sectors, which led the world into the current crisis—that would be a great achievement indeed. Sarkozy recently said he hasn’t even considered whether he will seek reelection because he is so busy leading—although you’d be hard-pressed to find anyone in France who thinks he won’t run again in 2012. 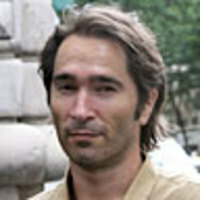 The most popular plausible candidate on the left now is Socialist Dominique Strauss-Kahn, who is the managing director of the International Monetary Fund. The intelligent and phlegmatic Strauss-Kahn is in Pittsburgh, too, working to cap bonuses and shore up the world’s banking architecture. He is expected to attend the entire G-20 meeting—which is another reason the man who leads his country by New York minutes might find the time to stay in Pittsburgh.